Beyond 8 Figures | Start. Scale. Exit. 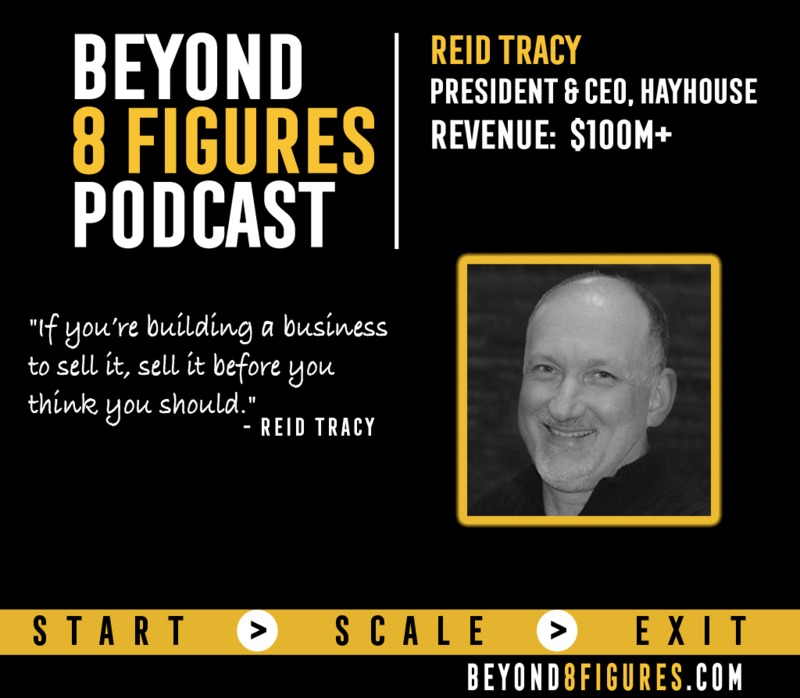 : $100M in Annual Revenue - Reid Tracy, Hay House, Inc.
Reid Tracy tells us about the importance of the niche, customer desires, and paying attention to new trends in business in how to grow, scale, and exit a business. The business model of Hay House. The creative avenues in which Hay House continues to grow and evolve the company as technology changes. Stay focused on the niche area you are aiming at. Stay the course. Don’t let the outside pressures force you to do something against your instinct. Pay attention to what the customers want and focus on those customer needs. About Reid: Reid Tracy is the president and CEO of Hay House, Inc., the largest and most influential self-empowerment publishing company in the world. Acquiring hundreds of prominent authors over the years, Reid has played a crucial role in the strategic development of authors such as Wayne Dyer, Christiane Northrup, Jerry and Esther Hicks and Doreen Virtue. He has also produced more than 12 successful PBS Specials which raised more than $100 million for public television. Most recently, he was the executive producer of several movies, including “The Shift,” with Wayne Dyer and “You Can Heal Your Life,” a documentary about Louise Hay’s life. Reid is also directly responsible for establishing Hay House’s offices in New York, London, Sydney, and New Delhi.